I have a new article up on Relish, 3 Pancake Recipes to Test Your Relationship. While the personal content of the article is a little…erhm, outdated at this point, the recipes are every bit as delicious. 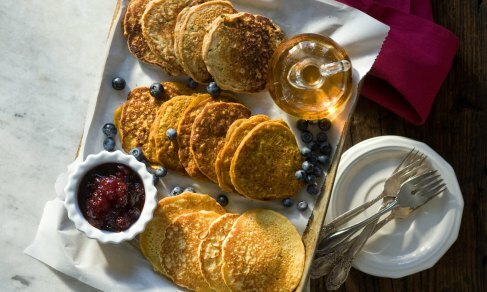 I mean, cornmeal pancakes with maple-rhubarb sauce? Come on. So good.